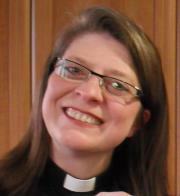 Lara has been the priest-in-charge at St.Andrew’s since July 2012. She attends to the spiritual well-being of the parish and the surrounding community. Our two church wardens are senior members of the congregation who work with the rector on the day-to-day running of St. Andrew’s. Their responsibilities are wide and varied and they can be contacted at the parish mass or the through the parish office. This group comprises of members of the congregation who have been elected at the annual general meeting to a serve term of three years. The group meet, with the rector as the chairperson, to discuss matters around the Church and its maintenance, including the well-being of parish and community.